Review: The Mummy – Is it a Wrap for Tom Cruise? We come to finally unwrapping The Mummy, Universal’s first film in its Dark Universe. It aims to serve as the grand introduction to a new shared world with all of Universal’s monsters. Is Tom Cruise enough to make everyone forget about Brendan Fraser’s Mummy and get excited for this new venture? Eh, not really. If you’re looking for the magic and fun of that flick you won’t find it here. Our film starts by establishing Nick (Tom Cruise) and Sgt.Vail (Jake Johnson) as shady US soldiers who are “antiquities liberators” aka thieves. 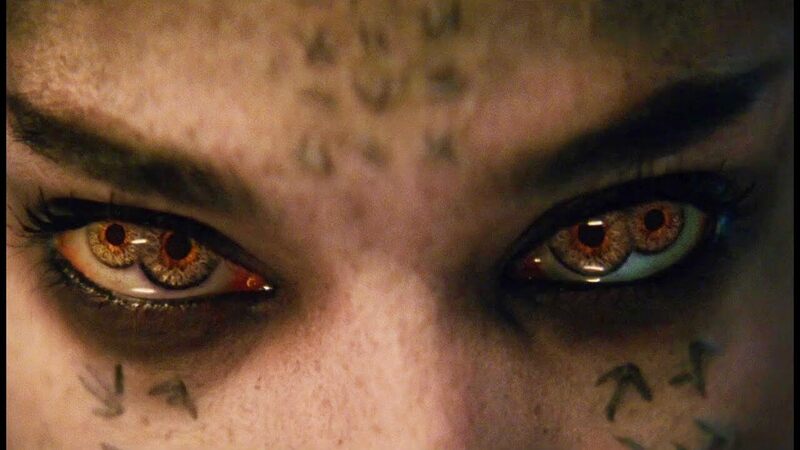 Through a chaotic and loud tumbling through the alleyways and rooftops of Iraq in search of treasure,they accidentally unearth the ancient prison of Princess Ahamet (Sofia Boutella). Conveniently enough they are joined by archaeologist Jenny Halsey (Annabelle Wallis) who brings them to Dr. Henry Jekyll (Russell Crowe). As Cruise is the one who actually frees the Princess, she names him her Chosen. So begins their race to end the curse before she can complete the ritual that will allow Set,the god of death, to take over Cruise’s body. How is our new Mummy? Boutella’s mummy is essentially a spoiled brat throwing a really over the top tantrum. She’s decent in the role easily transitioning from rage to seduction whenever she’s in a scene with Cruise. She plays off well against him and shows how even with all this power she now has, she’s still a brat looking for attention. The special effects they use as she changes from dry husk to human-ish are also pretty good. Sadly, there’s not much originality in the effects. About the only thing that sets this mummy apart are her double irises. As for Cruise, he’s actually pretty fun to watch. They try to establish his character as a selfish, lying, thief but it never comes across as strongly as they would like. Tom Cruise physically sells every bit of his character. Which is not surprising because it’s a well known fact that he does all of his own stunts, but it particularly stands out in a film where not much else really stands out. The scene in the helicopter toward the beginning of the film is incredible to watch considering they used zero gravity and no cgi whatsoever. Everything else is entertaining enough but is kind of forgettable. Watching the Mummy when she first wakes is more interesting than watching her when she’s mostly humanoid. It is funny to watch her bat Tom Cruise around like a fly but there’s nothing special beyond that. There are quite a few heart racing scary moments with rodents and undead minions, but no one sequence that stands out over anything else. And that’s the crucial flaw of this film. There’s nothing really special happening. For a movie that’s supposed to be the doorway into a shared universe there really should be something different than what we’ve already seen to pull us along for the ride. The cast performed pretty much how you would expect their stereotypical roles to play out. The archaeologist who looks down upon the rogue but eventually sees the shred of good in him that he doesn’t. The best friend who thinks everything is a bad idea and is the film’s humor relief. The things that are potentially intriguing like Crowe’s Dr.Jekyll and his monster hunter HQ get a good tease but you’re left hoping it gets a bit more of a jolt in whatever the next film is. Cruise’s performance was consistently enjoyable which is probably what saves this film from being completely blah. He shows Nick’s believable temptation between the mummy’s call to power and whatever shred of selflessness he might have. Otherwise this film delivers a lukewarm entry into Universal’s monsterverse. There’s still hope though, as the ending to this movie was unexpected and oddly satisfying. Let’s hope Universal builds upon this and gives us something far more exciting in the next film.